In the Old Testament book—the Song of Songs, we read the story of mutual love and fidelity between a Shulamite girl (the beloved) and a shepherd (the lover). It is a description of their journey to a union of hearts. The second poem describes how the girl is in search of her lover: “I sought him but could not find him.” She felt deeply the pain of his absence. When she does find him she says: “I have found him whom my heart loves and I will not let him go.” The Latin for this phrase is Tenui Nec Dimittam, which means “I have taken hold and I will not let go.” How does this become the motto of St. Francis de Sales? While Francis was a student in Paris studying the humanities in obedience to the wishes of his father, he studied theology during his spare time. He took a course with the Benedictine Genebrand in which he learned the exegesis of the Song of Songs. His interpretation profoundly moved Francis: the love between the girl and the shepherd is symbolic of a person’s relationship with God. He was no longer able to conceive of the spiritual life except as a love story. The experience of the girl and the shepherd becomes his own. Francis had a crisis experience whereby he believed he was predestined to hell. It so disturbed him that he became depressed and physically ill.
Andre Ravier’s biography describes how Francis was able to relate his experience to that of the Shulamite girl who was in search of him whom her heart loved. One day while Francis was praying before the statue of the Black Madonna in the Dominican Church of St. Etienne-des Gres, he decided to let go of this fear and to place his total trust in God. He later described his conversion experience in the words of the Shulamite girl: “I have found him whom my heart loves and I will not let him go.” Thus, the motto becomes the foundation of Francis’ goal on his journey to be in union with the love of God. 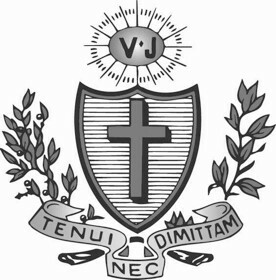 It is this foundation upon which Father Brisson choose the motto “Tenui Nec Dimittam” as that of the Oblates of St. Francis de Sales. He gave us the means to which we can achieve this end: the Spiritual Directory. Article 132 of our Constitution tells us that the Directory is to “inspire the spirit of the congregation.” It is the means by which we Oblates put into daily practice the spiritual masterpiece of Francis—the Treatise on the Love of God. In short, the Directory is the means by which we reproduce the human life of Jesus in our relationships of love of God and neighbor. It empowers us to LIVE JESUS and to reprint the Gospel in our daily lives. Its practice is the concrete means whereby we realize the Good Mother’s prophecy (co-founder of the Oblates): In the Oblates, Jesus will be seen walking again upon the face of the earth.